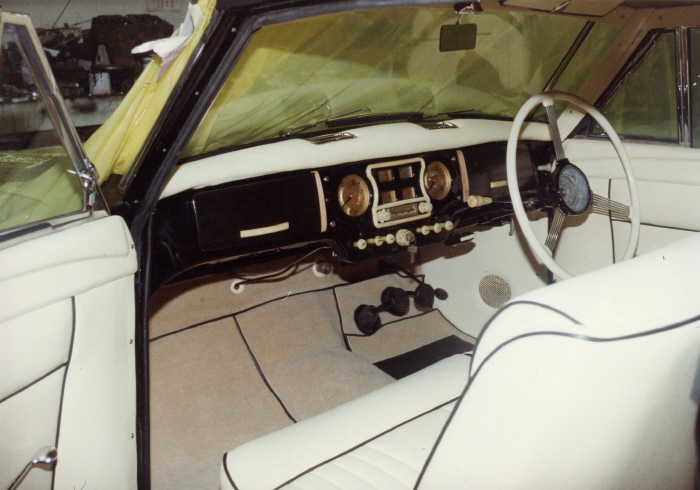 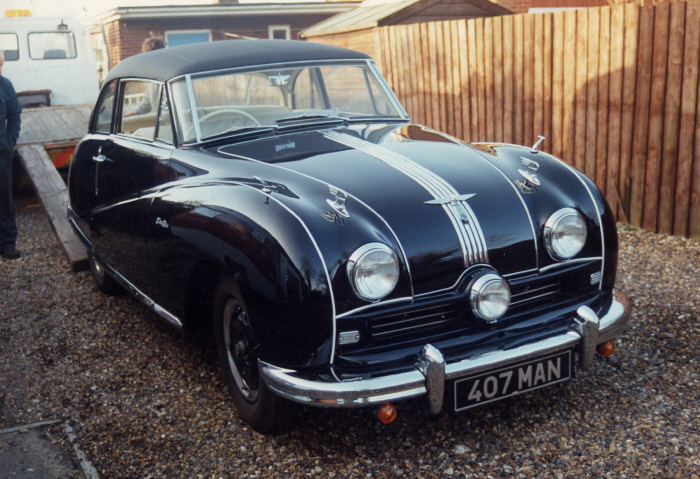 The interior of this Austin was stripped down in the Isle of Man and transported to our workshop in Hethersett. 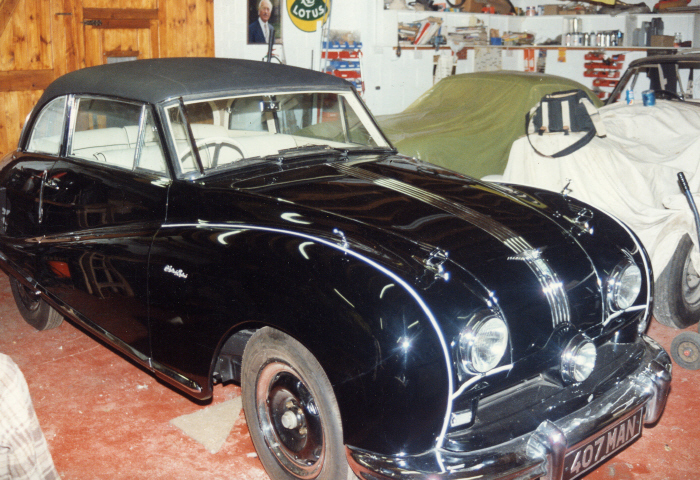 The car itself followed six months later. 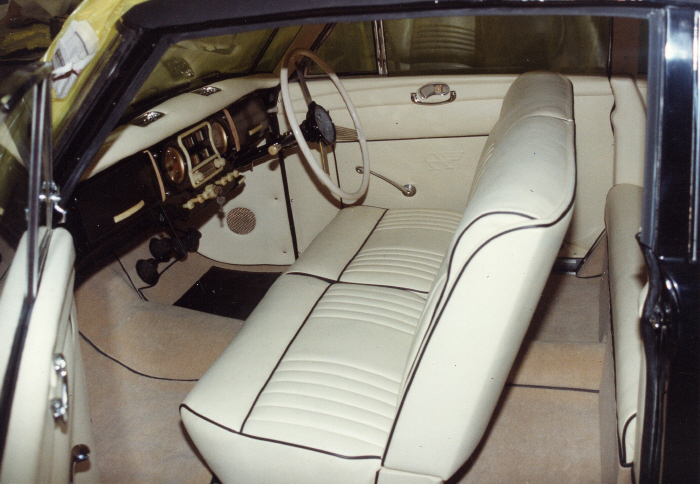 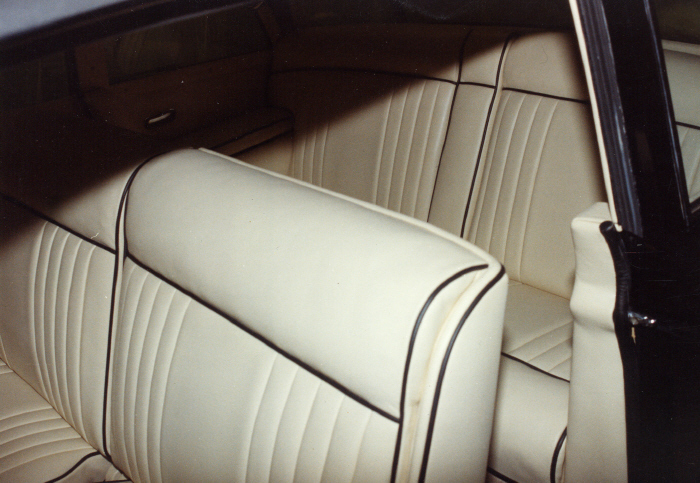 The car was trimmed using Connolly hide and a rubber backed short cut pile wool carpet. 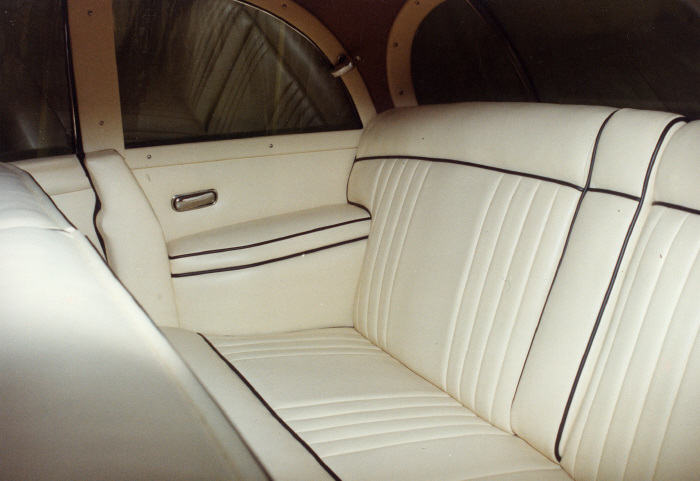 The headlining was trimmed using a West of England wool cloth and the vinyl roof re-trimmed using the original grained hooding. 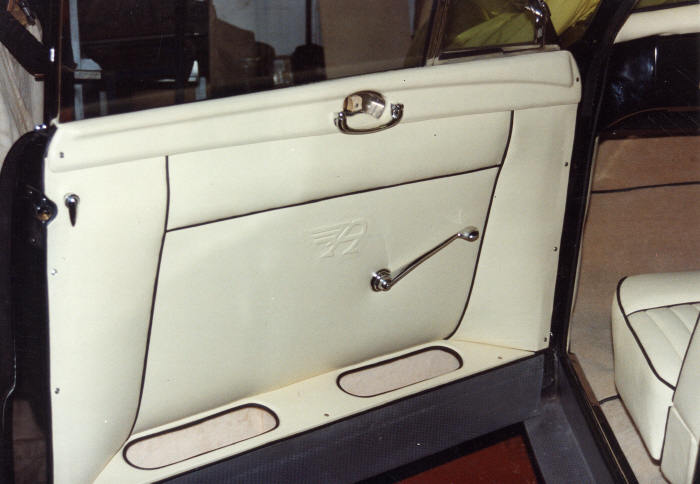 As you can see from the photo, the Atlantic Flying A was embossed into the door panels.